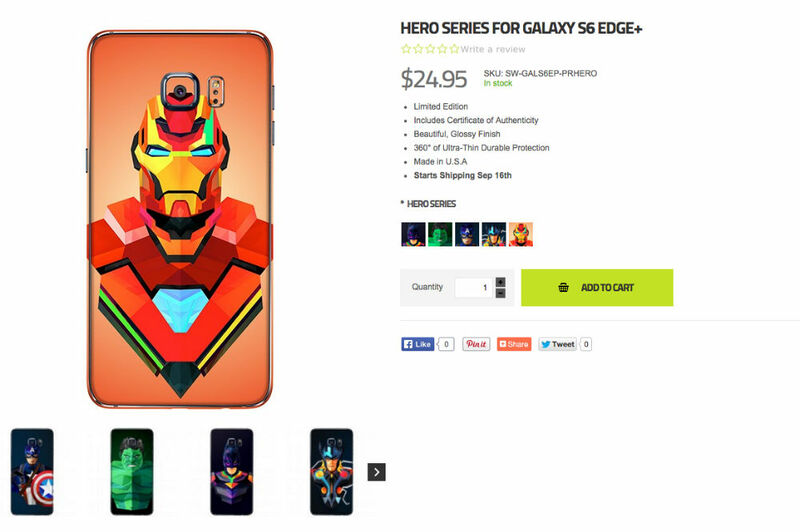 SlickWraps, the creators of fine smart device skins, has a new series of Hero skins to choose from, created by none other than Justin Maller. You have likely seen Maller’s work during your time on the Internet, as our friend MKBHD tends to show off his work quite often. He specializes in sometimes triangular, bright art that transforms nicely into wallpapers and other various creations. For options, the Hero Series offers a few of the more well-known superhero characters, such as Captain America, Batman, Iron Man, Hulk, and Thor. These skins are available for devices such as the Galaxy S6, S6 Edge, iPhone, One M9, Nexus 6, and many more. You can even purchase the skins for your gaming console or laptop. Each skin appears to be priced at $25, and who knows much or if any portion of that needs to go to DC or Marvel. But regardless of that, SlickWraps skins are always quite nice, at least when we tried them, and there’s nothing like decking your phone out in Iron Man skins.